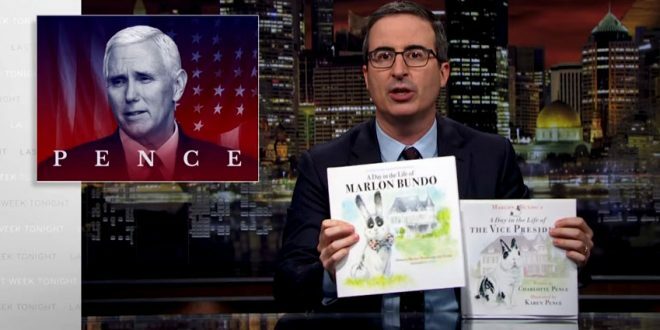 John Oliver's Gay Bunny Book Hits #1 On Amazon - Joe.My.God. Guess who just managed to pull a best-selling book out of their hat? 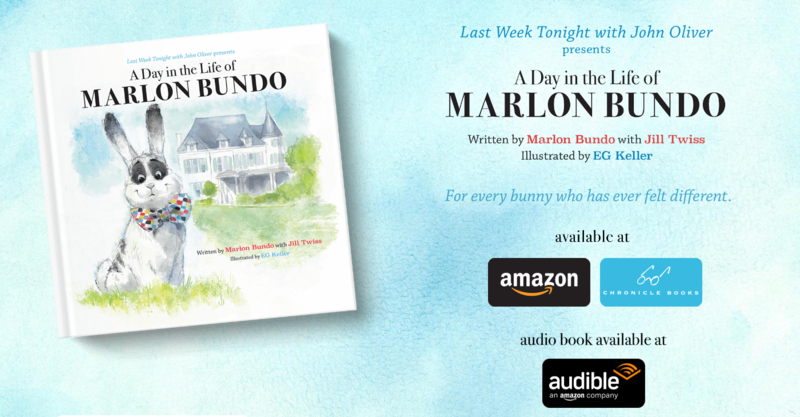 That’s right: it’s John Oliver and the staff of Last Week Tonight—specifically, writer Jill Twiss—whose picture book, the somewhat cumbersomely titled Last Week Tonight with John Oliver Presents A Day in the Life of Marlon Bundo, is, as of this writing, the No. 1 best-selling book on Amazon. It’s a sweet victory, made even sweeter by the book that’s currently down at fourth place: Marlon Bundo’s A Day in the Life of the Vice President, a picture book written by Mike Pence’s 24-year-old daughter, Charlotte, and illustrated by his wife, Second Lady Karen Pence. Proceeds from Oliver’s book go to the Trevor Project and AIDS United. The audio version is narrated by Jim Parsons, John Lithgow, RuPaul, and Jesse Tyler Ferguson.